Tomorrow, Kidrobot will be releasing this epic new The Death Blossom Clairvoyant 8” Custom Dunny Series by the figure’s designer, artist J*RYU! This limited edition series of 10 pieces celebrates the end of the first phase of Kidrobot's critically acclaimed Arcane Divination line, at the same time peering into the future for what's to come. Each custom Clairvoyant 8” Dunny comes with one random Magic Crystal Ball 3” Dunny cast in resin by Task One and WeAreNotToys, featuring a different color variation and special resin applications. 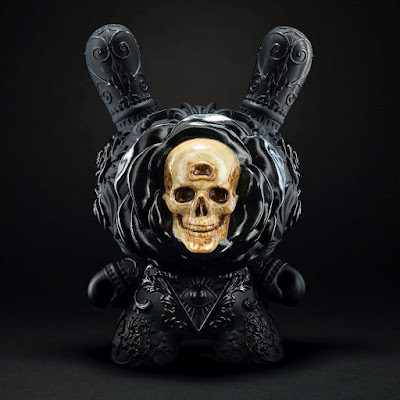 The Death Blossom Clairvoyant 8” Custom Dunny by J*RYU goes on sale at 10am MST this Tuesday, February 6th, exclusively at Kidrobot.com.